An unusual breakout has left six children dead and another 12 sick and quarantined to the hospital. The deadly illness is believed to be a severe viral outbreak stemming from a rehabilitation facility in New Jersey. According to the state's Department of Health on Tuesday, 18 cases of adenovirus were reported at the Wanaque Center for Nursing and Rehabilitation in Haskell in Passaic County. The bizarre outbreak is usually only the cause of mild illness in its victims but this latest outbreak of adenovirus has had unusually severe consequences on children with compromised immune systems. Children in a frail medical state and with low white blood cell counts are extremely susceptible to the virus. The state's department of health even issued a warning saying, "This strain has been particularly associated with disease in communal living facilities. The combination of a worse strain of adenovirus together with a fragile population has led to a more severe outbreak." The status of the 12 children who remain alive but infected is unclear. Dr. Sejal Bhavsar, of Hackensack University Medical Center, said, "Adenovirus is very contagious virus. However, in these situations, they are very contagious in long-term facilities because they are often transported by sneezing and coughing, but also the particles that are passed from sneezing and coughing land on other objects. And other people go and touch it and then touch their mouths without washing their hands. That's how they can obtain the virus." The state has also sent a special unit of health department officials to the facility and a team to help inspect the premises where the outbreak was first reported. The team found a lack of minor hand-washing procedure at the facility and the department is working closely with the rehabilitation facility's staff to help control infection issues. Gov. Phil Murphy said in a statement, "I am heartbroken by the news that several children have lost their lives in an adenovirus outbreak at the Wanaque Center for Nursing and Rehabilitation, and pray for the full recovery of the other children impacted. I have been briefed by Dr. Elnahal, who has assured me that the Department of Health has recommended vital measures to enhance protections against the further spread of infection and will continue its active on-site surveillance. I am confident that the steps being taken by state and local officials will minimize the impact to all those who remain at the facility, including patients and employees. Wanaque Center administrator Rowena Bautista had their own statement on the matter saying, "The Wanaque Center for Nursing and Rehabilitation has recently experienced some cases of the Adenovirus in its pediatric unit. 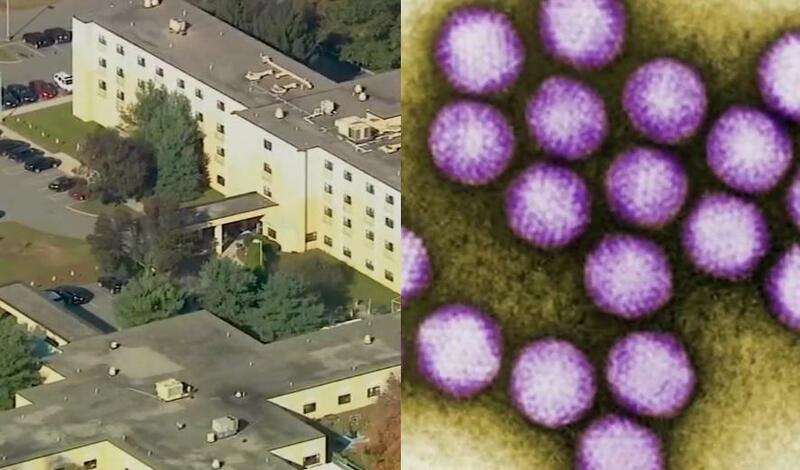 The facility promptly notified all appropriate government agencies when the virus was initially identified, including the New Jersey Department of Health, The Passaic County Department of Health, The Communicable Disease Service and the Centers for Disease Control. The statement continued, "The Wanaque Center continues to fully cooperate with these agencies and has sought out their medical guidance with respect to the virus. As a result, facility staff has diligently implemented all available infection control and prevention measures in order to protect the health and safety of the Wanaque Center's residents." The Centers for Disease Control and Prevention have even become involved and they said in an email they are mostly providing technical assistance to the state. In the past 10 years, the CDC has failed to keep track of the number of severe illness or even deaths associated with this type of infection, said CDC spokeswoman Kate Fowlie. When explaining how the virus can be fatal, Dr. David Cennimo, an assistant professor of medicine-pediatrics infectious disease at Rutgers New Jersey Medical School said, "Adenovirus may cause more fever and more bronchitis-like or wheezing than a rhinovirus cold, for instance, but most people do fine. In rare cases, this is fatal." The CDC and those like Kate Fowlie are adamant that it is uncommon for people to die form adenovirus, so uncommon that they don't keep track of the numbers of fatalities. That just doesn't bode well, it seems to me the CDC should be keeping better track of diseases. After all, they are the "Center for Disease Control."